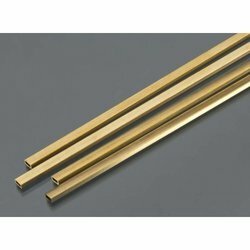 Brassco Tube Industries is one of the leading manufacturers, importer and exporters of Brass Tubes, Copper Nickel Tube and much more. We offer these products at most reasonable rates. Founded in the year 1987, Brassco Tube Industries is one of the leading manufacturers, importer and exporters of Brass Tubes, Copper Nickel Tube and much more. We offer these products at most reasonable rates. In their development process, we assure that only top notch basic material is used along with ultra-modern tools and machinery. Besides this, we check these on a variety of grounds before finally shipping them at the destination of our customers. Our Exporting Countries are England, Germany, UAE, Singapore, Malaysia. 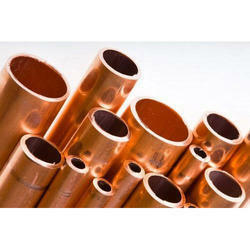 Brassco Tube Industries is one of the major manufacturers of Copper and Brass Pipes, Tubes, Coils and Rods. Our plant is located at Gujarat State, the fastest growing industrial area in the country. The company has ensured non-pollution working conditions in the plant. A massive & continuous investment programme in the development of new technologies, state of the art equipment and machinery, and technical and administrative software allows A.B.C. Tube Company to offer a range of products of the highest quality. Brassco Tube Industries applies the just in time principle with over more than 450 clients around the country. 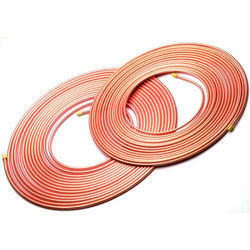 As opportunities for the Indian copper industry unfold in the global market, Brassco Tube Industries has drawn up its export strategy with superior quality and a variety of products holds to capture the international market also. In order to attain continuous growth and meet the growing demands of our clients, we have developed a state-of-the-art infrastructure. This is further segregated into various sub sections such as production unit, quality testing unit, research unit, warehouse unit and packaging unit. All these sections function in a streamlined manner in order to complete the bulk orders in a timely and effective manner. 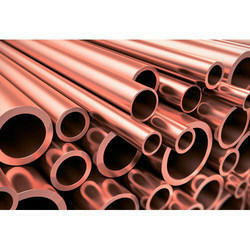 We are an accomplished organization which has gained fame in providing Cupro Nickel Tubes.